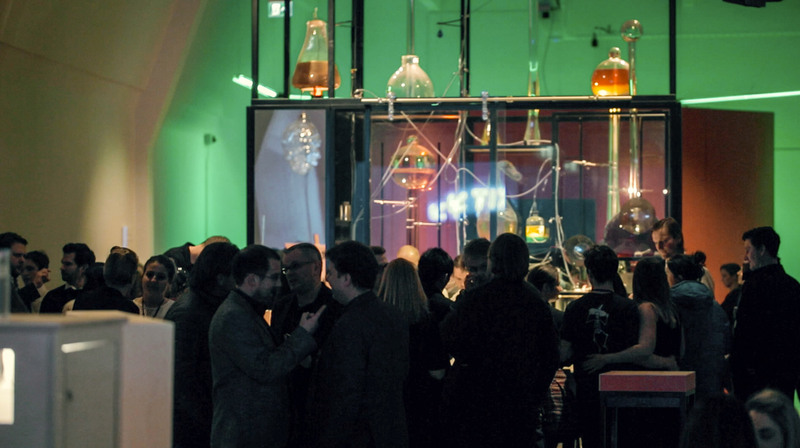 We were asked by the London Science Museum to help add some extra flair to their launch event of the Wonder Lab in January 2017. 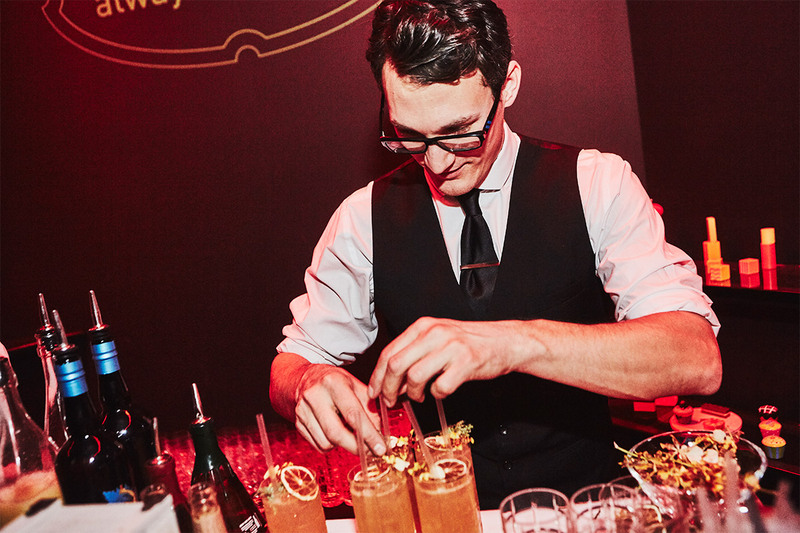 So we created a contemporary drink offering served from two bars. 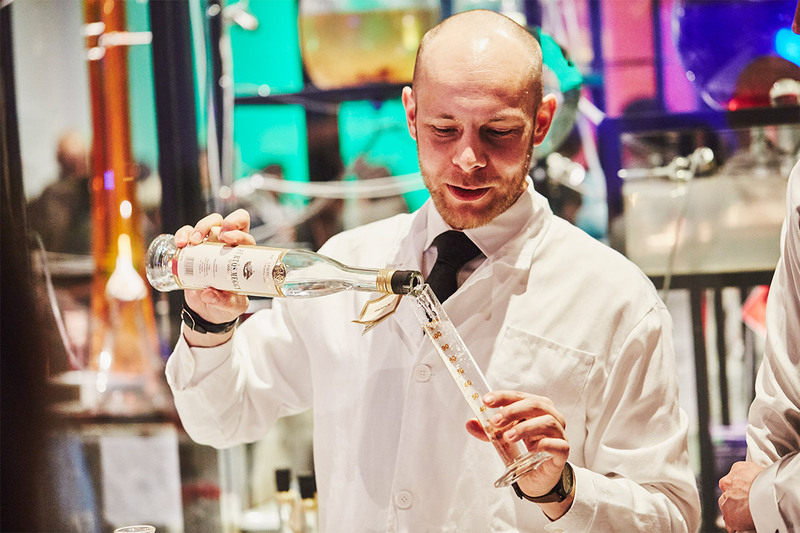 One Molecular bar with a modern chemistry lab influence and a Medicine Chest bar inspired by Victorian apothecary remedies. 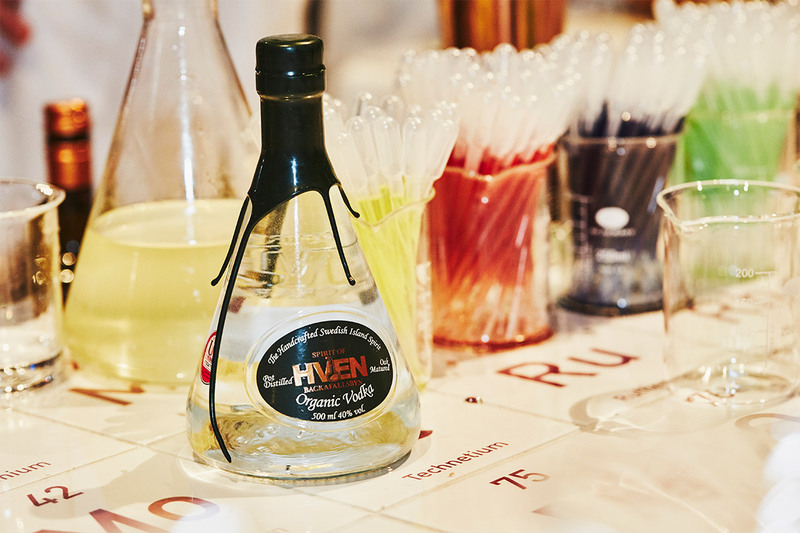 Both serving drinks using fine hand-crafted organic products from the Swedish distillery Spirit of Hven. 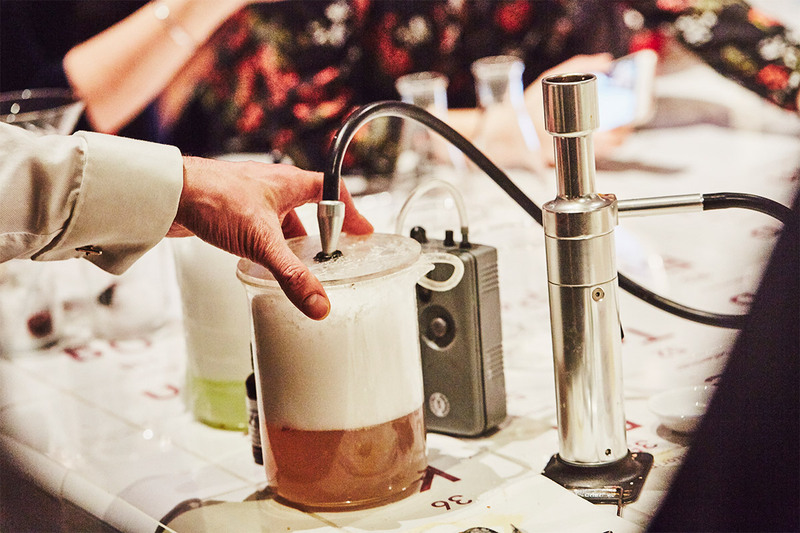 We developed a range of three Molecular drinks, inspired by the difference in temperature, aroma and texture. Spirit of Hven Organic Vodka and Van Wees “rose without thorns” rare rose liqueur. 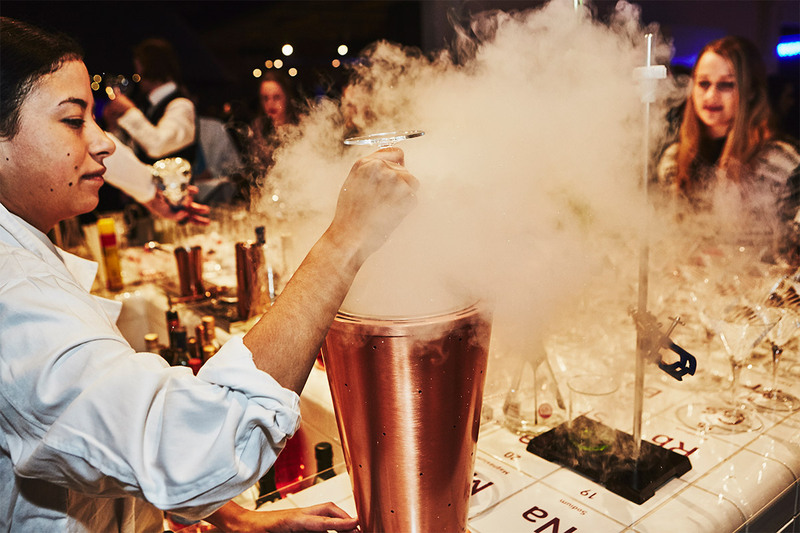 served freezing cold straight up in a glass chilled to -45°C with liquid C02. 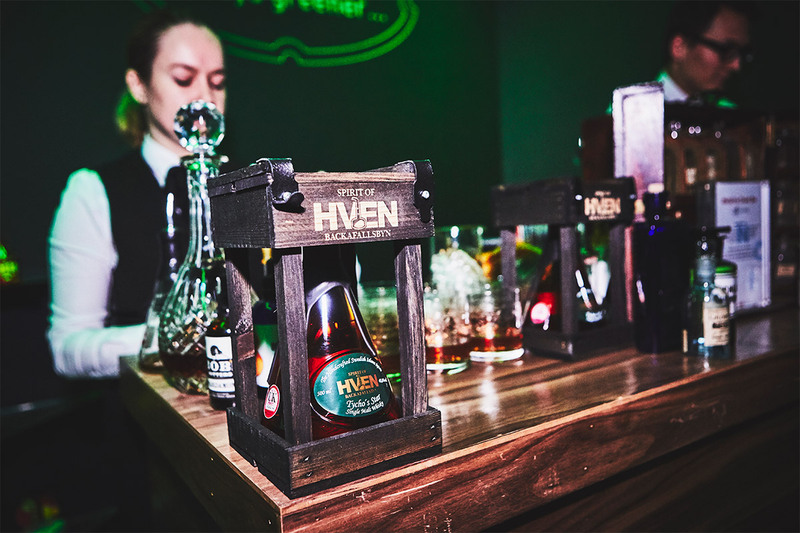 Taking inspiration from the Victorian phamracy we designed two potions, using Hven Organic Winter Spirt and the award winning Hven Organic Tyco’s Star Single Malt Whisky. 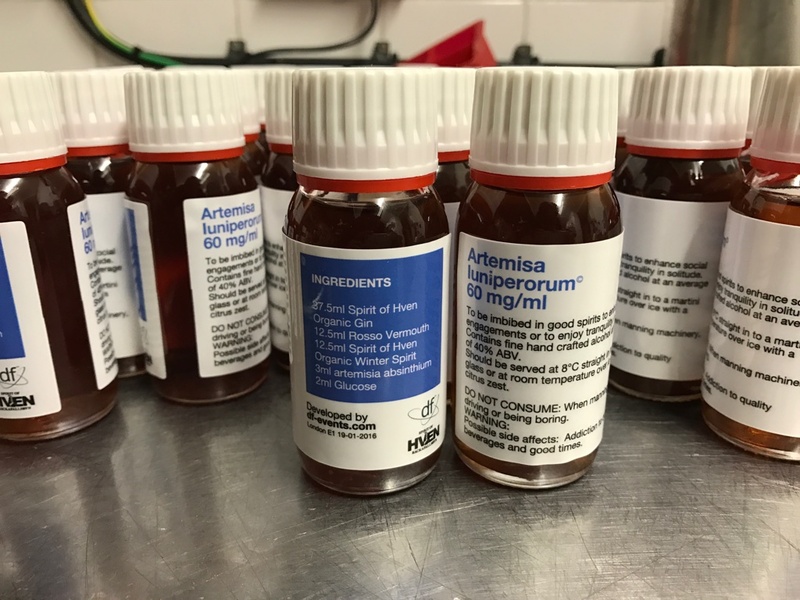 Using old-fashioned tinctures and remedies such as wormwood, quinine, cassia bark, cinnamon and juniper. 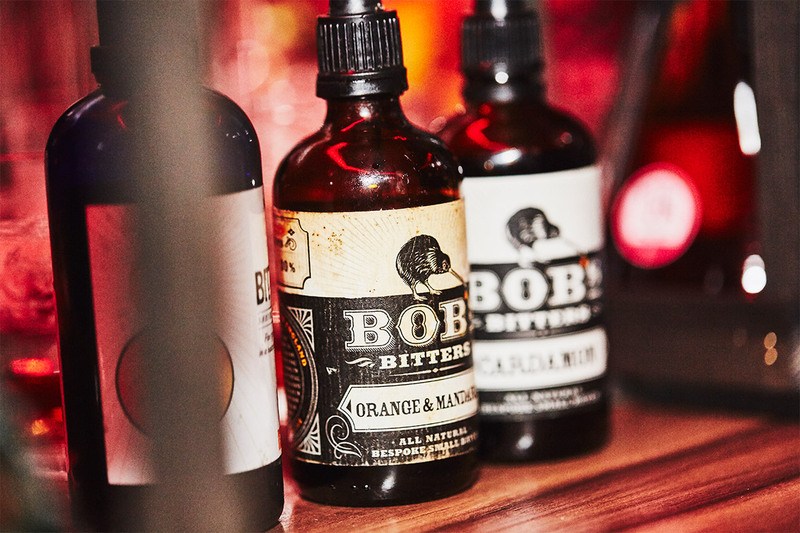 The bar was dressed with genuine Victorian chemistry bottles, apothecary jars and an old medicine chest to reflect the theme. 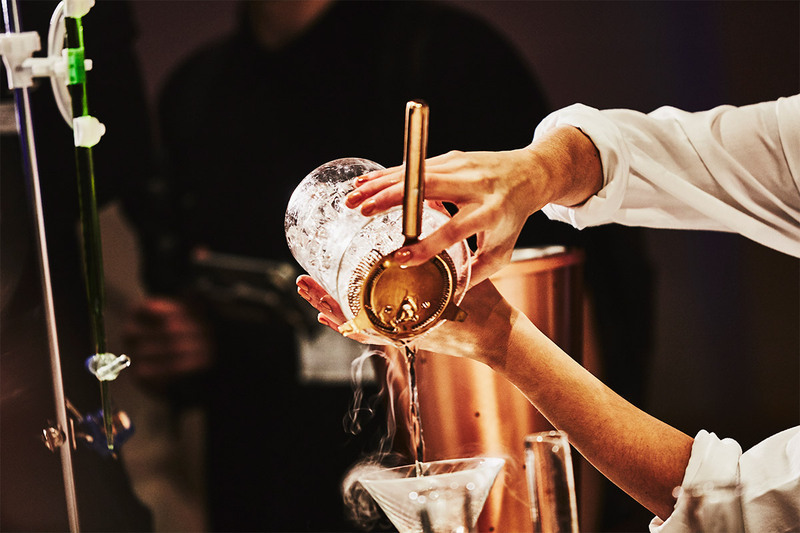 A seasonal potion made with Spirit of Hven Organic Winter Spirit and Contratto Americano Rosso vermouth, charged with a splash of Tonic water infused with botanicals from the Mosel region. Seasoned with tinctures of wormwood. Spirit of Hven Organic Single Malt whisky and Bold London Spirit stirred over ice to perfect dilution with a hint of spiced sugar, seasoned with a selection of bitter tinctures. 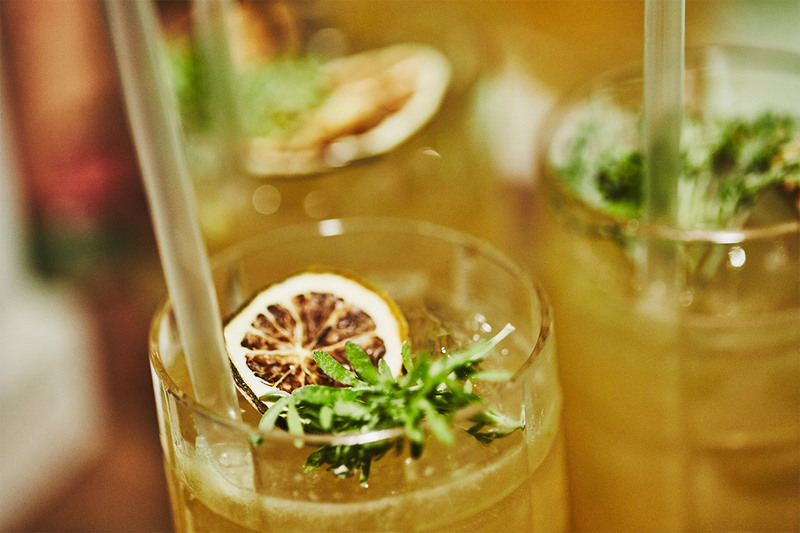 Perfect for a “dry January” remedy! 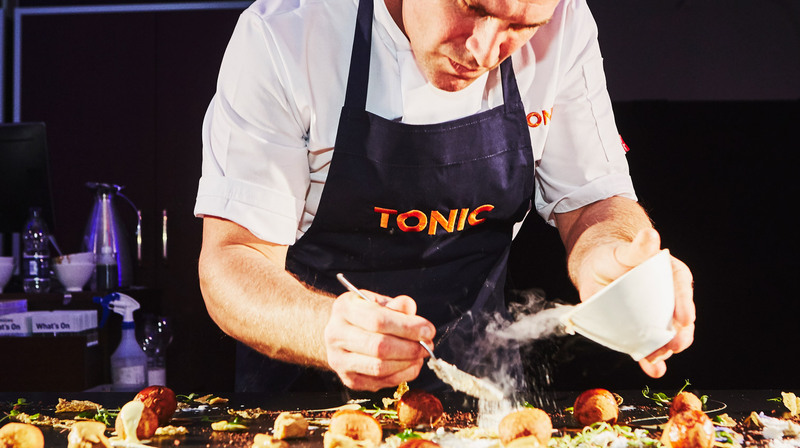 Our partner Tonic food’s interactive live food stalls and science-based food concepts based around a thought-provoking and highly innovative science-inspired ‘Theory of Food’ menu provided non-stop drama and surprise throughout the night. Toying with the physics of cooking and presentation, whilst also introducing new concepts and flavours, Tonic took catering to another level to showcase its new brand – ‘levitating’ petri dish of delicate pasta pillows filled with flavoured butters, gin bubbles and tonic cloud samphire, topped off with tomato water bubbles, thermal foraging for cheddar doughnuts with cep sugar or antigriddle cooking to produce sweet and savoury lollipops of green apple and tuna katsuobushi and Seville orange and salted duck skin.